Happy Tuesday everyone!! Today, I decided to talk about a recipe that doesn't actually need any alterations to it. That's right. It's Ratatouille! An all vegetable dish which is great to have hot or cold, or even in a soup. (I prefer the original way though; stewed). Some people do use Chicken Stock for this recipe. But, more often than not it's Vegetable Stock. Heat the oil in a large pot over medium heat. Add onions and sauté until translucent. Add garlic and sauté until soft. Turn heat down to low. Add tomato paste and cook until it completely coats the onions and develops a deeper color. Add vegetables in the following sequence: peppers, eggplant, zucchini, and tomatoes. Cook each vegetable until soft before adding more. Add the stock and allow the vegetables to stew. Stew until vegetables are tender and flavorful. Season and serve! I'm not an eggplant eater but my husband loves it. He'd be thrilled if I made this for him. I've been looking for some good eggplant recipes. This recipe looks delicious. Been looking for a good recipe for this. Going to give it a try! I didn't know about the eggplant recipe. Looks amazing. Nice procedure. I do not like eggplant it is not my favorite. But I like it has a sauce. 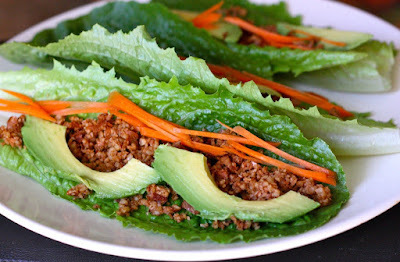 I love fresh vegetables and am always on the hunt for new ways to prepare them. This ratatouille recipe sounds divine. Your ratatouille looks so pretty! I definitely am inspired to try this now! Ive always wanted to try this!! Looks so delicious! 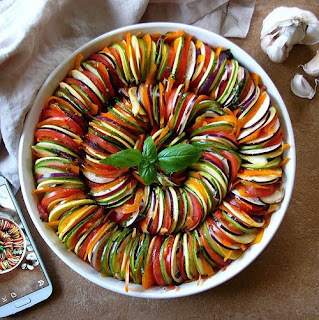 This Ratatouille looks so tempting and tasty. I've been looking for a delicious recipe. I will definitely try this ratatouille recipe.